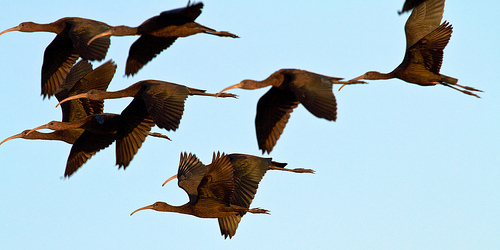 The Glossy Ibis is a tropical-looking bird that you do not often see in western Europe. If it is seen, it usually is an escapee. 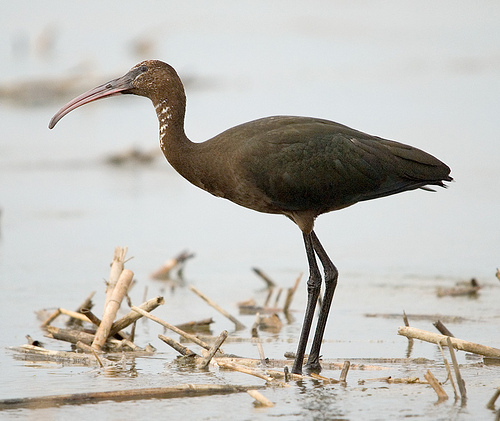 The Glossy Ibis has a dark-hued, the Curlew is brown.